When LeBron James first left Cleveland in 2010 to take his talents to South Beach, he was bashed for it. Lost in the hoopla over whether it was wise to publicly break up with the region that made him was the fact that “The Decision” actually ended up raising millions for the Boys & Girls Club. Eight years later, King James is once again leaving Cleveland for a sunnier destination, and he’s giving the region a parting gift: a state-of-the-art public school for at-risk youth. Dubbed the I Promise School, the educational facility will provide a certified STEM program, free meals and supplies — including a Chromebook and a bike, and all kinds of support to 240 third- and fourth-grade students behind on their reading levels randomly selected from the Akron Public School District (the I Promise School is not a charter school). Additionally, the school has a food bank onsite, will provide GED classes and job placement assistance to the students’ parents, and even offers free tuition to the University of Akron to graduates starting in 2021. It’s not an exaggeration to say that the school is the first of its kind, and James is justifiably being lauded for his altruism. So much so, in fact, CNN’s Don Lemon even asked him in an interview following the school’s opening on Monday whether he had any intention of running for president in 2020. In that same interview, by the way, James noted that opening the school was one of the greatest moments in his life. It’s worth drawing parallels between “The Decision” and the opening of the I Promise School if only because it highlights just how willing LeBron James has become to using his massive platform to advocate for social justice causes. By his own account, this shift in approach was motivated by Trayvon Martin’s murder in 2012. Since then, not only has he been supportive of causes like the Black Lives Matter movement, but has even called out Donald Trump multiple times with little to no detrimental effect — as FiveThirtyEight notes, that NBA fans tend to be more liberal and culturally and racially diverse surely helps quite a bit. The Trail Blazers dumped Allen Crabbe in a trade with the Nets last summer. It was a perfectly sensible move. Crabbe is a helpful player but wildly overpaid, and Portland saved more than $55 million with the deal – without surrendering a draft pick. Though I don’t directly care about Trail Blazers owner Paul Allen saving money, I recognize the value of that move. In the process, Portland also created a $12,969,502 trade exception. That could have been used in the following year to acquire another player making up to that amount, but that would have defeated the purpose of the original trade. The Trail Blazers are still in range of the luxury tax and will be for the next couple seasons. Except Trail Blazers president Neil Olshey repeatedly touted the value of the trade exception. He noted it was the NBA’s biggest trade exception. He said he’d treat it like cap room while lauding Allen’s aggressiveness. Guard Malik Newman has agreed to a contact with the Heat, Michael Scotto of The Athletic tweets. Newman, 21, signed a two-way contract with the Lakers at the beginning of last month but was waived on July 19th. He played in five summer league games for Los Angeles and averaged 3.2 PPG in 9.8 MPG. It’s unspecified what type of contract Newman signed, though the Heat have openings on their roster. Jimmer Fredette let everyone know he is still around with his performance in the TBT tournament, leading Team Fredette to the semifinals of the winner-take-all tournament. When Fredette first came into the league, his struggles on defense was more than exposed. But with how 3-point shooting is being placed with such a premium today, he thinks there’s finally a place for him in the NBA. Jack Cooley, who played with Fredette in the TBT, voices his belief in the shooter’s skills. However, beyond those top few players, there simply weren’t many long-term commitments out there this summer. Many of the free agents on our top-50 list signed shorter-term contracts that will allow them to re-enter the free agent market a year from now. A variety of factors contributed to these shorter deals. For one, not many teams around the league had cap room available this summer. Without major money attached, there’s little incentive for players to accept those longer-term contract offers — in many cases, they’d be better off going year to year rather than locking themselves into a below-market multiyear deal. Additionally, both players and teams are looking ahead to the summer of 2019. 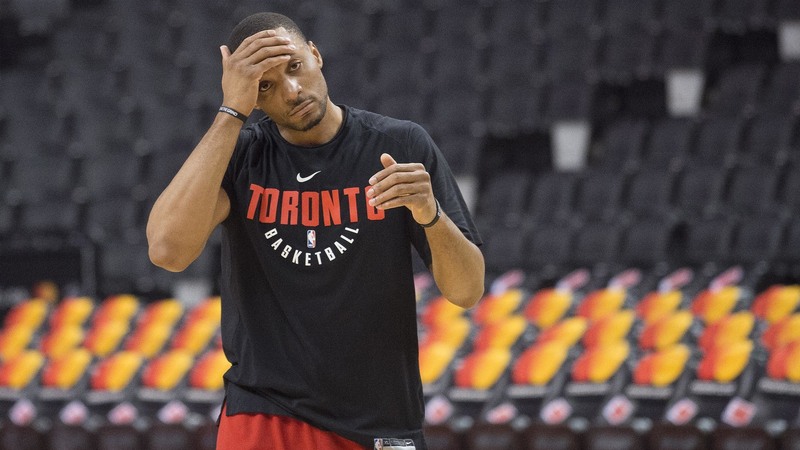 More NBA clubs expect to have cap room available next year, with the cap projected to rise by a greater amount than it has in either of the last two years — plus, more bad contracts from the summer of 2016 will be coming off the books. That extra cap flexibility will, in turn, present more opportunities for players to get paid. Of course, with so many players now projected to reach free agency in 2019, there still probably won’t be enough money to go around and make everyone happy. Nonetheless, the fact that so many free agents agreed to one-year deal (or two-year deals with options) this offseason signals that agents expect a more player-friendly market a year from now. The full list of players from our top 50 free agents of 2018 list who will have the opportunity to reach free agency again in 2019 is below, along with their status for next summer — “UFA” denotes that a player will be an unrestricted free agent, while “PO” designates a player option, and so on. By our count, up to 31 players from this year’s top 50 could become free agents again in 2019. By comparison, 12 of the 50 players from our 2017 list reached free agency again within a year. Hood remains unsigned and could still get a guaranteed multiyear deal. Wade remains unsigned and could still get a guaranteed multiyear deal. Terms of Nwaba’s agreement with the Cavaliers aren’t yet known — it could be a guaranteed multiyear deal. The 2017-18 NBA season featured breakout performances from a number of talented young players: Victor Oladipo, Devin Booker, Fred VanVleet, and Jamal Murray, among others. Though at this point most attention is (understandably) focused on the key stars and title contenders for this coming season, we’re wondering which young players could go up a level in 2018-19. Some of the following players just haven’t found the right fit. Others have stayed with one team, gradually improved, and seem poised to really emerge this season. Here are 10 breakout candidates we’ll be keeping an eye on. McDermott has bounced around since the Denver Nuggets selected the Creighton star No. 11 in the 2014 draft. He’s now on his fifth NBA team. 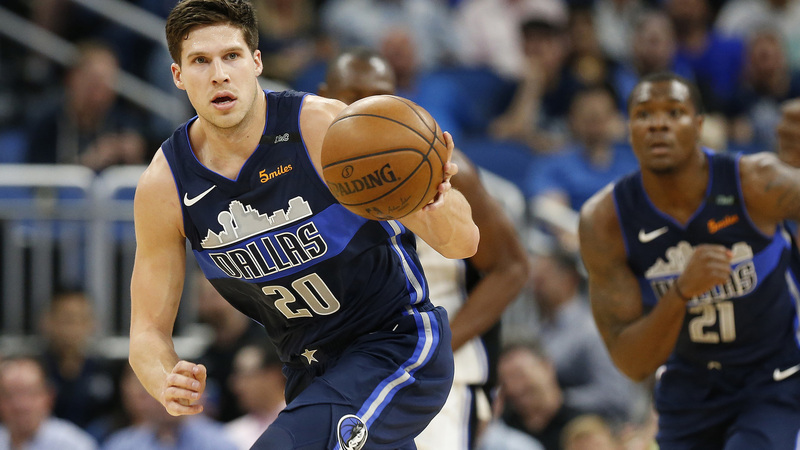 McDermott’s shooting has never been an issue, but it became a major asset last season; after joining Dallas, he hit nearly 50 percent (!) of his outside attempts. His defense has gradually improved throughout his career, and he’s no longer a liability on that end. Indiana strikes me as the perfect fit for McBuckets. 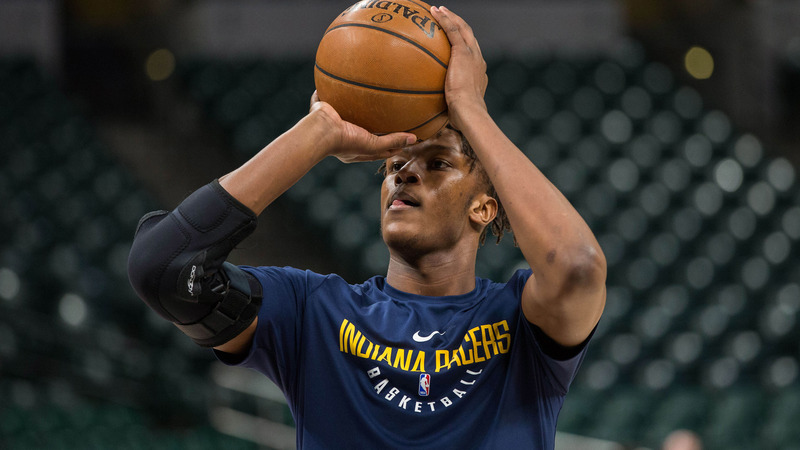 He should shine playing off of Victor Oladipo in Nate McMillan’s shooter-friendly system, much like Bojan Bogdanovic broke out last season. They say the secret to happiness is low expectations, and the opposite – high expectations – have plagued Winslow. Hype for the Duke product reached a crescendo on draft night, as Danny Ainge attempted to trade four future first-round picks so he could move up to pick Winslow. Winslow, 22, had his most efficient season as a pro in 2017-18 after missing most of 2016-17 with a shoulder injury. He’s always been an outstanding defender, and his offensive game is coming along. 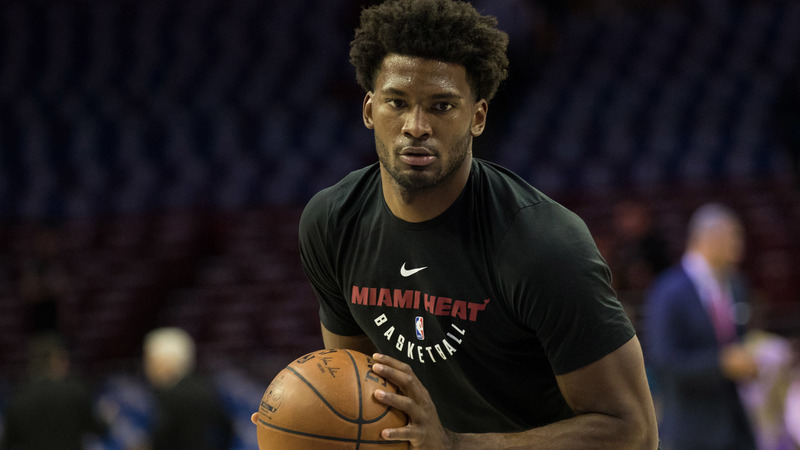 With Winslow heading into the fourth year of his rookie contract, the Heat haven’t yet decided whether to commit to him long-term. His uncertain contract should be all the motivation he needs to level up in 2018-19. The Bucks selected Powell No. 46 on 2015 draft night and dealt him to the Raptors for Greivis Vasquez, who quickly exited the league. Powell bounced between the NBA and D-League as a rookie, but by the end of the season he was putting up big numbers in the pros. After a solid second season, he signed a four-year extension with Toronto, but his 2017-18 campaign left much to be desired. As a result, he played only 15.2 minutes per game. A strong athlete with high basketball IQ, Powell needs to focus on improving his jumper this offseason. If he develops a consistent shot, he could blossom into a longtime NBA starter. “Scary Terry” made a name for himself in Kyrie Irving’s stead in this year’s postseason, but the 2017-18 campaign as a whole was a resounding success for Rozier, whom the Celtics selected in 2015 because they were unable to move up and pick Winslow. 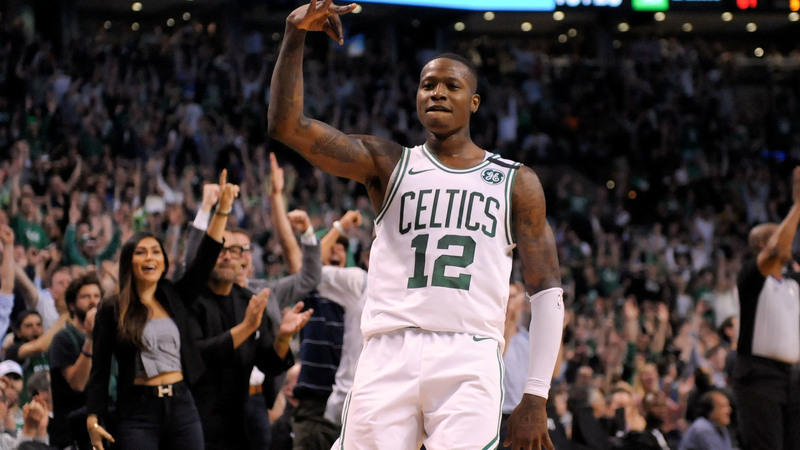 Rozier averaged career-bests in points (11.3), rebounds (4.7), and assists (2.9), in addition to putting up the best three-point percentage (38.1) of his career. Rozier isn’t afraid of big moments or of competing with the league’s best. Though he’ll have to jockey for minutes in Boston’s loaded backcourt (especially now that Marcus Smart is officially back), Rozier should continue to improve in 2018-19. 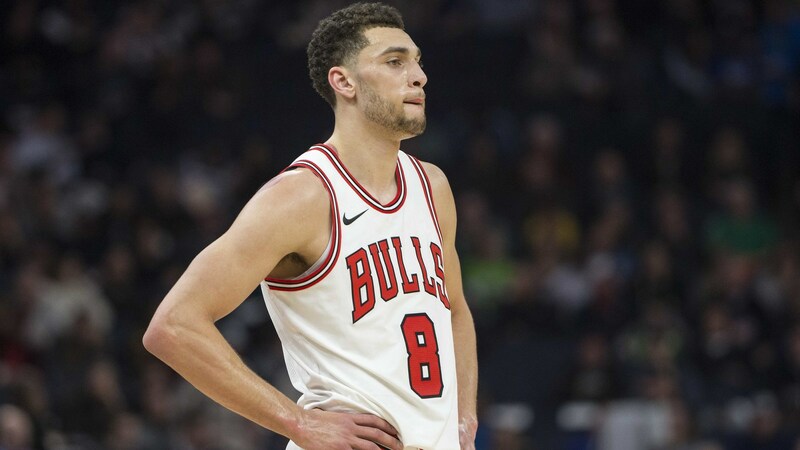 If he has a strong first half of the season, look for Boston to ship him to another team – where he’ll have a bigger role – before the trade deadline. Fox and Jayson Tatum were my favorite prospects in the 2017 draft. As rookies, Tatum made me look like a genius, whereas it became clear Fox was on a slower timetable. 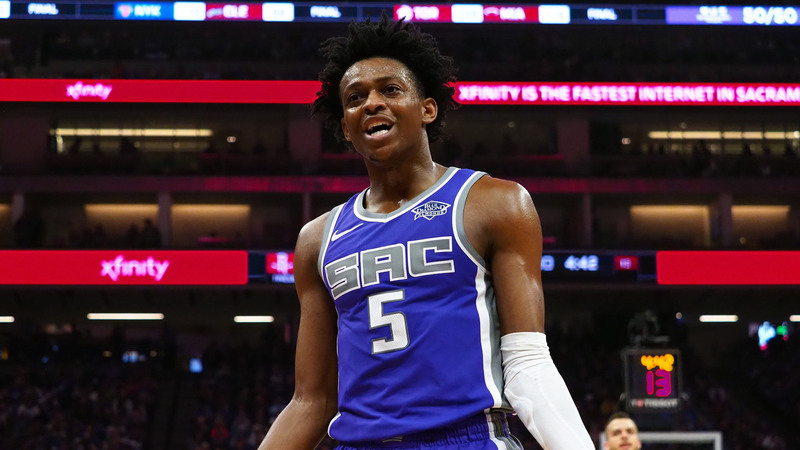 He put up decent numbers in Year One in Sacramento – 11.6 points and 4.4 assists per game – but his shooting splits (41.2 percent from the field, 30.7 percent from three-point range) were abysmal. 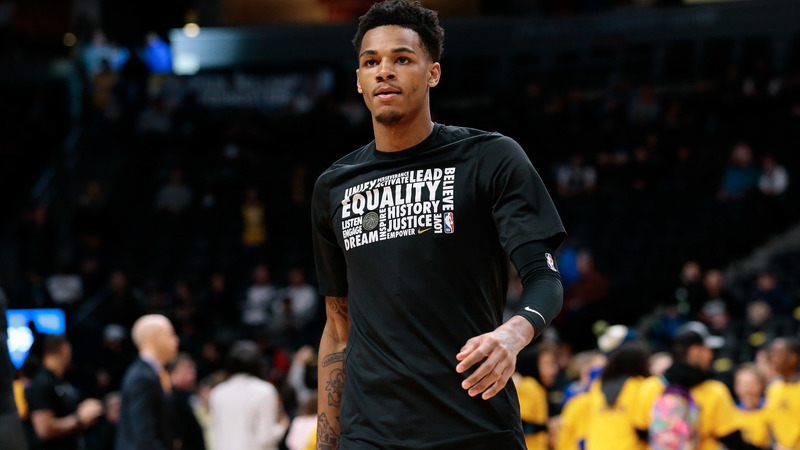 Additionally, he’ll have to compete for minutes this season with both Frank Mason and Yogi Ferrell. Still, I’m looking for the former Kentucky guard to have a big season. The 20-year-old lives for clutch moments and is already an exceptional finisher at the rim. The additions of young big men Marvin Bagley III and Harry Giles should help the lightning-quick Fox create. Turner, the No. 11 pick in 2015, has been a consistent producer since he entered the league. He’s always seemed right on the cusp of becoming a star, but he hasn’t quite gotten there. Many expected he’d be Indiana’s No. 1 option in 2017-18, but Victor Oladipo stepped up and filled that role, while Turner dealt with elbow injuries. Turner’s outside shooting continues to improve, and this summer he’s focused on transforming his body. Turner, like Winslow, is entering a key contract year, and he’s hoping for numbers similar to those which Clint Capela recently received. If he can stay healthy and stay in shape, Turner could compete for an All-Star spot in a depleted Eastern Conference. In addition to landing his first Hollywood role – as Casper in the Uncle Drew movie – Gordon signed a big extension this offseason: four years and $84 million. In his fourth NBA season, he averaged his most minutes (32.9), points (17.6), rebounds (7.9), assists (2.3), steals (1.0), and blocks (0.8) per game. Gordon has always had the athletic ability to shine, as evidenced by his jaw-dropping performances in the Dunk Contest, but the rest of his game is starting to come along nicely. With this deal, the Magic have committed to him as the face – or one of the main faces – of the franchise. 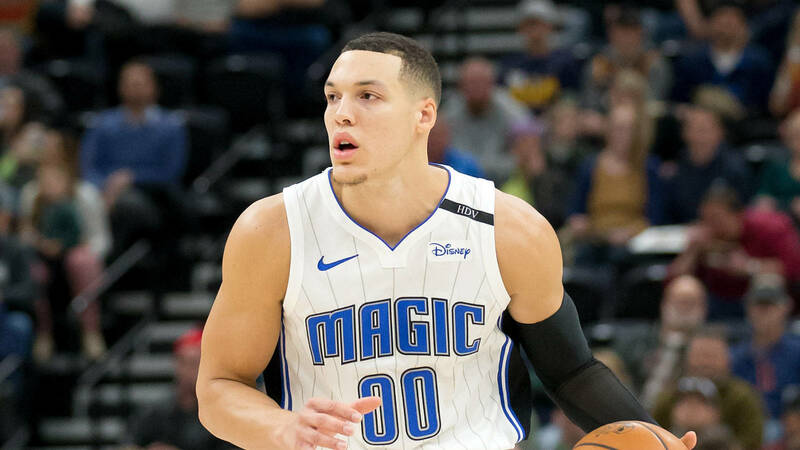 As he continues to develop and expand his outside-of-the-paint repertoire, Gordon will look to lead Orlando to its first postseason appearance since 2011-12. Murray was the Spurs’ starter at point guard for the majority of this season, and his minutes per game leapt from 8.5 as a rookie to 21.5. His other numbers made significant leaps as well: points (3.4 to 8.1), rebounds (1.1 to 5.7), assists (1.3 to 2.9), and steals (0.2 to 1.2). Now that Tony Parker has moved on, joining the Hornets, Murray’s role should continue to expand. Expect him to focus on that assist number in particular, in addition to getting to the free throw line more often. It’s clear he needs to become a better shooter, but he also needs to improve at the rim. Murray is still only 21 years old, and he should benefit from playing alongside the offensively gifted DeMar DeRozan. The Spurs believe in this young guy, so I do too. 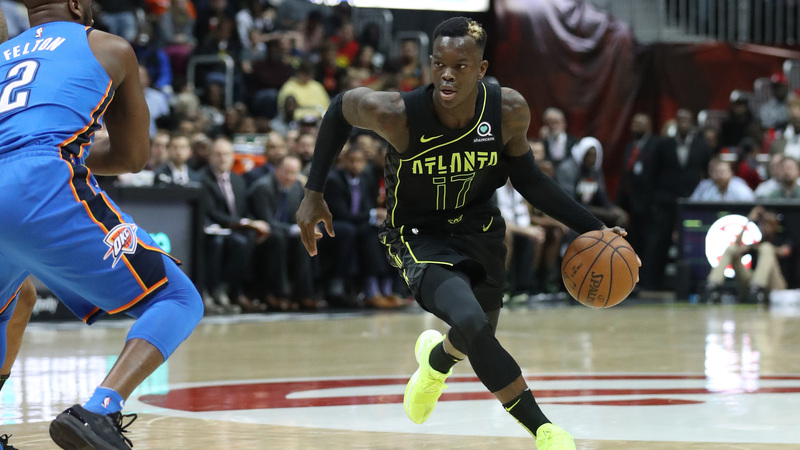 Schroder put up good numbers in Atlanta, but by the end of his time with the Hawks, the team was more than ready to move on (which they did by drafting Trae Young). Schroder was noted as a locker room cancer– a reputation he’ll look to shed now that he’s in Oklahoma City. Schroder’s talent has never been a question mark. Last season, he put up 19.4 points, 6.2 assists, and 3.1 rebounds per game. He’s also a solid defender; Schroder added 1.1 steals per game. 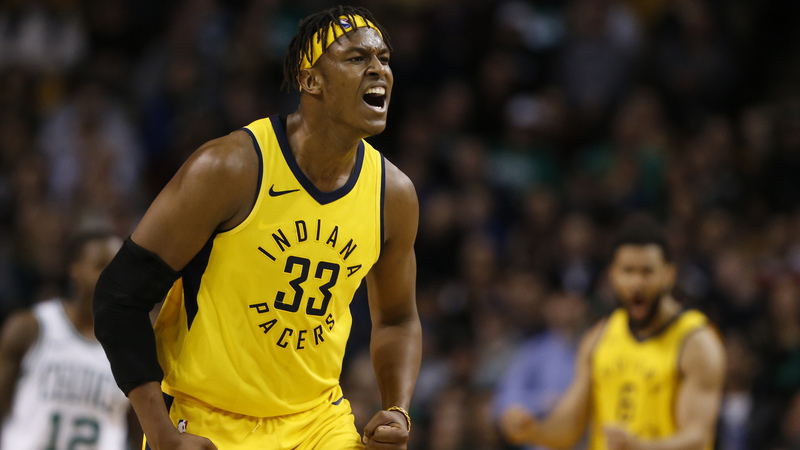 The 24-year-old German will be the best backup Russell Westbrook has had since Reggie Jackson, and he should fit nicely with Westbrook and Paul George. With the scoring load and pressure off of him, and his natural gifts in isolation settings, Schroder should have a big comeback season for Billy Donovan’s squad. Los Angeles Lakers guard Josh Hart believes they will improve, not disrupt, the chemistry of the team. Hart is especially on board with the signing of point guard Rajon Rondo. Nate McMillan, agreed to an extension through the 2020/21 season. It was also necessary for a franchise that preaches culture and loyalty to reward its coach for a job well-done last season. The Phoenix Suns assistant Ty Ellis is expected to be named the head coach of the G League’s Stockton Kings. Also, the Suns have re-signed point guard Isaiah Canaan. Canaan played in 19 games with the Suns after joining them in mid-December last season, averaging 9.1 PPG and 4.0 APG in 22.0 MPG. The Utah Jazz brought back big man Ekpe Udoh. His positive attitude and strong defense lived up to that billing, posting an average of 1.2 blocks per game. Denver Nuggets guard Isaiah Thomas had to settle for a one-year, $2MM contract in free agency but says he’s determined to be a major bargain for his new team. The Atlanta Hawks are finalizing a deal with former Suns center Alex Len. The contract will pay Len $8.5MM over two years. The Dallas Mavericks have reached an agreement to re-sign Salah Mejri, Mejri posted 3.5 PPG, 4.0 RPG, and 1.1 BPG in 61 games (12.0 MPG) for the Mavericks in 2017/18. The 7’1″ center is 32 years old, but made his NBA debut late and only has three years of NBA experience under his belt. The Philadelphia 76ers have made an addition to their offseason roster by signing free agent center Norvel Pelle to a contract. Philadelphia has made a number of signings this offseason, bringing back NBA free agents J.J. Redick and Amir Johnson, locking up draftees Zhaire Smith, Landry Shamet, and Jonah Bolden, and signing Shake Milton and Demetrius Jackson to two-way deals. However, today’s agreement with Pelle looks like the first training camp deal of the club’s offseason. Daily Report on the NHL, NFL, NBA and MLB – LeBron & Steven A.